“I was a young 19 year-old student at the time and had gotten hold of a funny detective camera.” This is how Carl M. Størmer describes his new and amusing hobby in the St. Hallvard Journal from 1942. 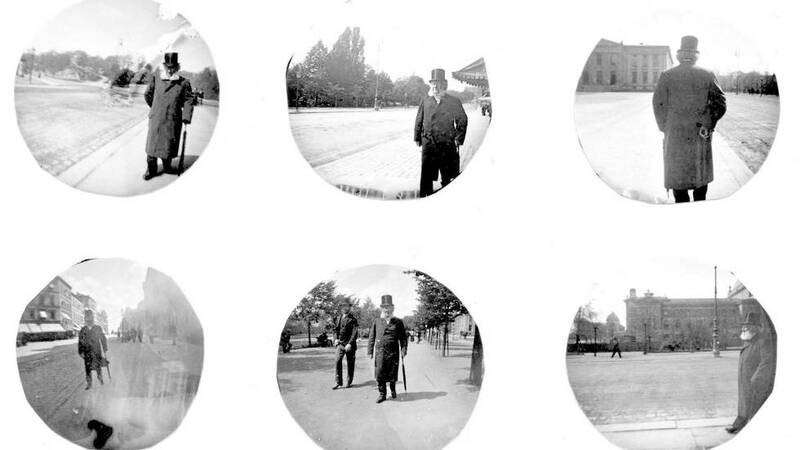 In his portfolio we find photographs of the most famous Norwegian, playwright Henrik Ibsen as he strutted down Karl Johan’s street in Oslo – most likely unaware of the shooting. At that time, Størmer was a mathematician and Aurora Borealis specialist. 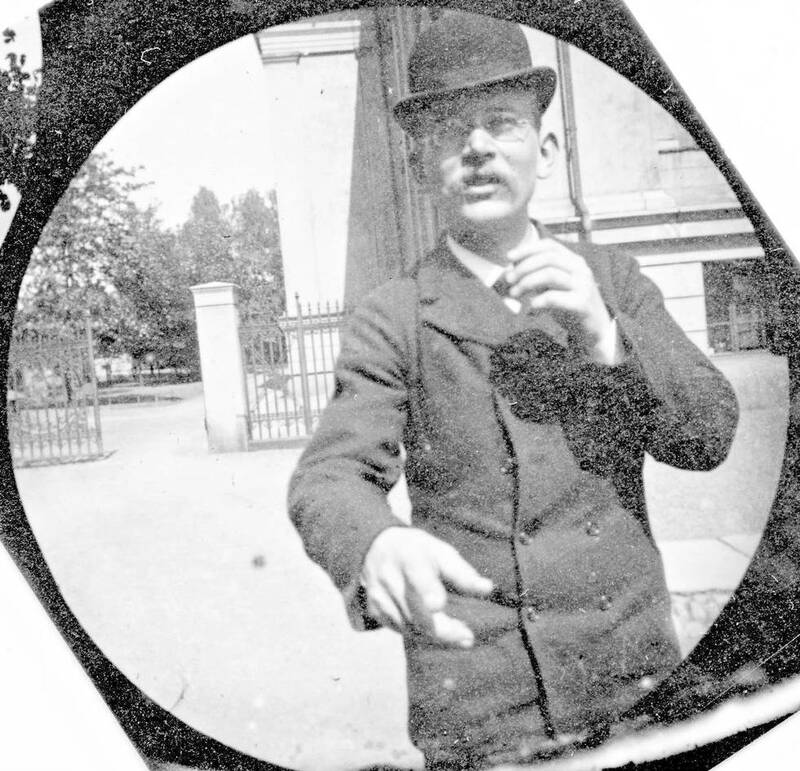 “Selfie”: Young student and secret photographer Carl M. Størmer. Long before the professional paparazzi began to make life miserable for celebrities, Størmer was a pioneer in the rather dubious hobby of secret photography. In the 1890’s, he walked around in Oslo – often along main street Karl Johan – with a hidden camera and took pictures of famous men and women. Størmer called Henrik Ibsen “an excellent object”, Ivar Aasen was “old and frail” and a number of professors and other prominent persons were “favored objects” caught on film, in addition to a lot of artsy high society women. – It was probably pretty outrageous. At that time, the shooting took place in greenhouse-like studios and the cameras had a long shutter speed. This type of snapshot was something new, says research librarian Harald Østgaard Lund at the National Library. In 2008, he published a book called “80 millioner bilder” (80 Million Photos) together with Jonas Ekeberg, including Størmer’s photographs. It was a round flat canister hidden under the vest with the lens sticking out through a buttonhole. Under my clothes I had a string down through a hole in my trouser pocket, and when I pulled the string the camera took a photo. I strolled down Carl Johan, found me a victim, greeted, got a gentle smile and pulled. Six images at a time and then I went home to switch plate.” Størmer lived nearby Karl Johan and took a total of 500 images. 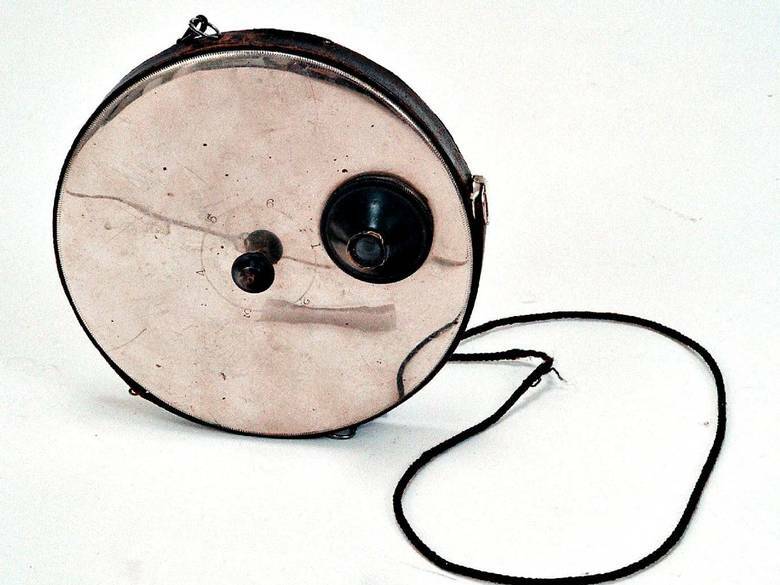 Størmer used a camera similar to this spy cam. It was a mixture of self-satisfaction of getting older and established people to greet a young student, in addition to doing something “foolish”. According to the film, Størmer was only caught red-handed once. 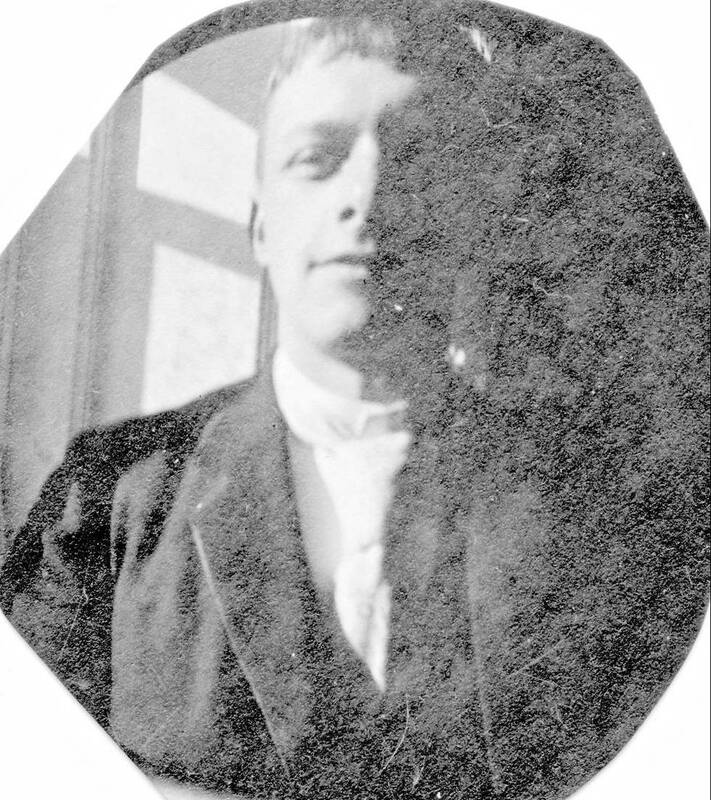 It was renowned Professor Kristian Birkeland who caught him, and in a series of three images we can sense Birkeland’s fury. Harald Østgaard Lund at the National Library believes that the “buttonhole photographs” provide a unique insight into the social life in Christiania (Oslo) at the end of the 1800’s. The images are a contrast to the assembled photographs of people with strict facial expressions that are common from this era. “I caught Ivar Aasen once. He was old and frail, as he leaned against the tree. I distinctly remember that he also had a drop under his nose”, Stormer said to the St. Hallvard Journal. This just came across my desk from Ernie Beers, who is writing an article about a more local photographer, Hattie Goodnow, for the upcoming PHSNE Journal.